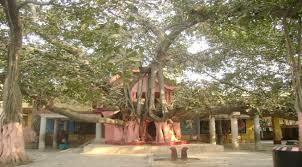 Here is Some Information about Bakreswar Temple(Shakti Pith)in Birbhum West Bengal india. The Bakreswar Shakti Pith Temple is located on the banks of the Paaphra River in the district of Birbhum West Bengal.The temple is renowned for its Oriya-style of architecture.The Bakreshwar Temple of West Bengal lies on the banks of the Paaphra River in the district of Birbhum, around 24 km from the town of Siuri and 240 km from Kolkata. The temple is renowned for its Oriya-style of architecture. Inside the temple complex are the Mahishmardini and the Vakranath temple. The former has ancient paintings of the goddess, preserved well by the Archaeological Survey of India.Bakreshwar is also considered as one of the Shakti peetas, as Sati Devi’s forehead and eye brows had fallen here. A tablet record says a portion of the edifice was erected in 1761 A D by Darpanarayan. According to mythology, during the wedding of Lakshmi and Narayana in Satya yuga, Indra insulted Muni Subrata. The saint got so enraged by humiliation, that his body got bent at eight places. Hence he was called Ashtavakra muni. Later Ashtavakra muni went to Varanasi to do Tapas but he was directed by a divine lord to go to a distant place in Gaur (Bengal). So he came in search of a suitable location and found this place convenient and started his penance here for several years. Pleased by his devotion, Lord Shiva blessed him. Shiva also requested Vishwakarma to build a temple for him. 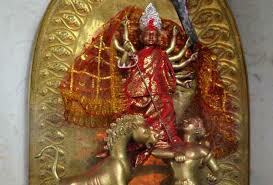 There is also an idol of Ashtavakra muni in the temple. It is customary to have darshan of Ashtavakra muni first and then Lord Shiva.Bakreshwar is also considered as one of the Shakti peetas, as Sati Devi’s forehead and eye brows had fallen here. A tablet record says a portion of the edifice was erected in 1761 A D by Darpanarayan. By Road : There are many private and public vehicels are available to reach Bakreswar Shakti Pith Temple at Birbhum West Bengal. By Train : The Nearest Railway station is Birbhum station. By Air : The Nearest Airport is Kolkata Airport.